On Monday, the last American male to win the Boston Marathon, Greg Meyer, will run the course again. 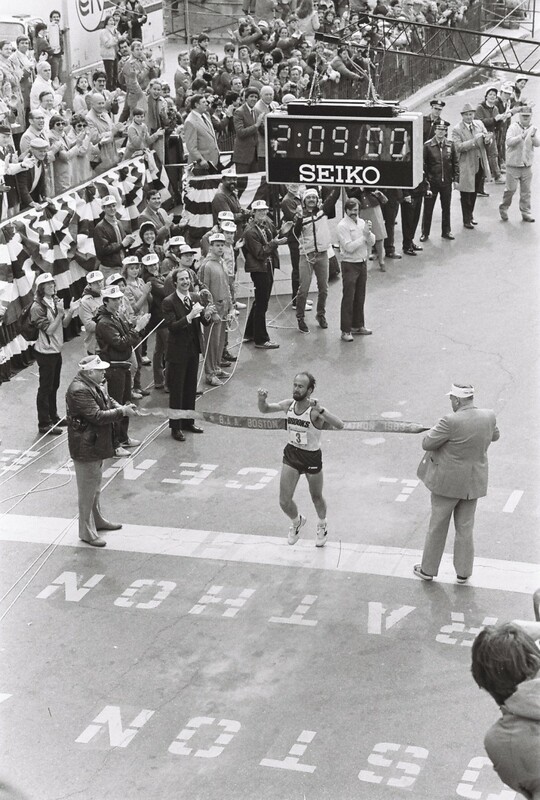 Meyer won the race in 2:09:00 in 1983. He is returning to the historic Hopkinton-to-Boston route with his sons Jacob and Daniel. "They always say, 'The Last American' and it's like, I feel like the 'Last of the Mohicans' or something. It's like, my gosh, you know? It just feels wrong," Meyer laughed, adding that he would be happy to give up that title and see another American win. Meyer said there are many reasons why no American has won the Boston Marathon since he did. "Part of it, I think, was generated by what was a good intention, but turned out wrong was the shoe companies created their own teams," Meyer said. "Everybody began running for contracts rather than to win races. And I think that people stopped training together." It was that team training that helped propel Meyer's own win. Bill Rodgers convinced Meyer to move from Michigan to Boston to train at the Greater Boston Track Club under coach Bill Squires. Meyer said they each had different techniques and were able to learn from one another. 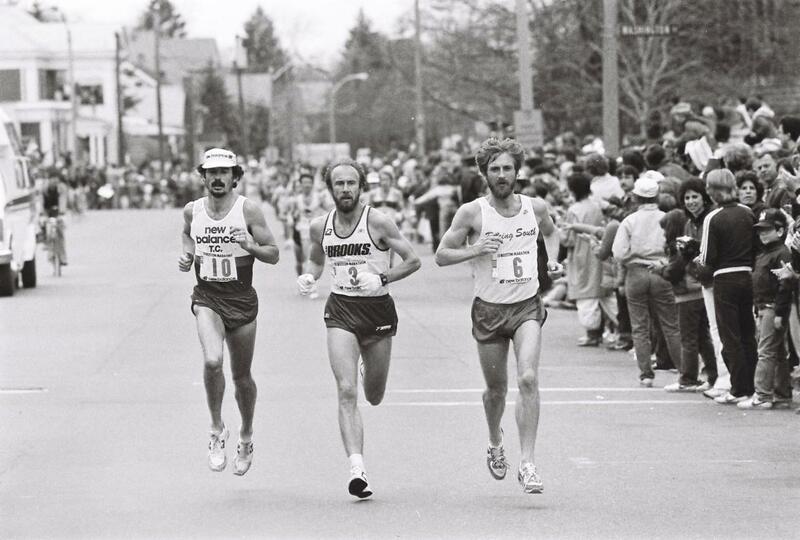 Meyer first ran the Boston Marathon in 1981, but came in 11th place. "Tactically, I did everything right. What I learned was I didn't have the strength to carry it out," he said. "You learn: What does it take to do the whole thing and do it well? And it really took me two years to where I felt confident that I was strong enough to do that." 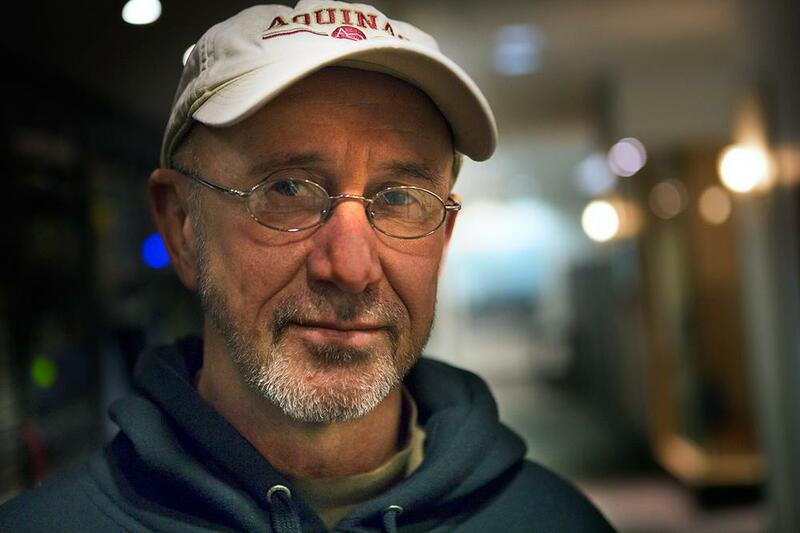 In those two years, the Boston Marathon was seared in his mind. "It burnt me that I lost," he said. Meyer won the Chicago Marathon in 1982 and returned to the Boston Marathon in 1983 to win the title. He had to dodge a dog fight, an overzealous friend who ran out of the crowd to try to encourage him and a police horse that was getting anxious. But about three miles away from the finish line, Meyer tried to look back to see who was behind him but the crowd was blocking his view. "Somebody on the press truck yelled to me, 'Relax, there's nobody coming.' Well, if you're goal is to win, you relax. So I went from still running about five minutes a mile to 5:20 a mile for the last three miles," Meyer recalled. "One of my regrets that day was if I had stayed focused and kept running scared, I probably would have run 50 seconds to a minute faster. But it didn't matter, it was only about winning." Meyer said that is not true for most American runners now. "That's the difference between the men and the women right now and why the women have an advantage," he said. "The odds are long that an American male will win." Meyer said most of the American male runners are running around 2:12:00 or 2:13:00, too big of a gap to cross the finish line first. The American women "in the hunt" are closer to winning. But don't expect another win out of him. Meyer said he only runs to stay healthy now. While his older son, Jacob, has been training, his younger son, Daniel, has not. "So we may be helping him over the last few miles or we may be telling him, 'Danny, there's a train stop right up ahead, you ought to get on it,' " Meyer joked. Meyer will be wearing number 1983 to commemorate his historic win. Clarification: An earlier version of this post was not explicit that Meyer is the last American winner in the men's open race. Since 1983, Americans have finished first in other divisions in the marathon. This program aired on April 12, 2013.